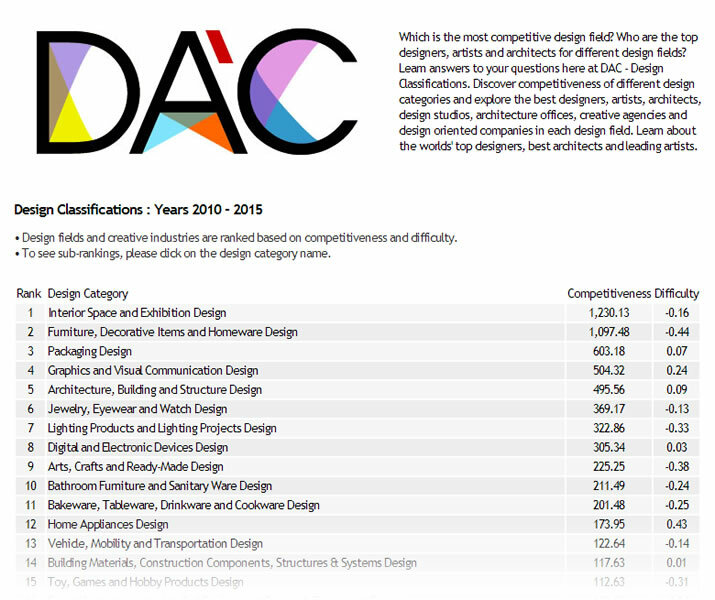 A' Design Award and Competition manages three ranking lists. 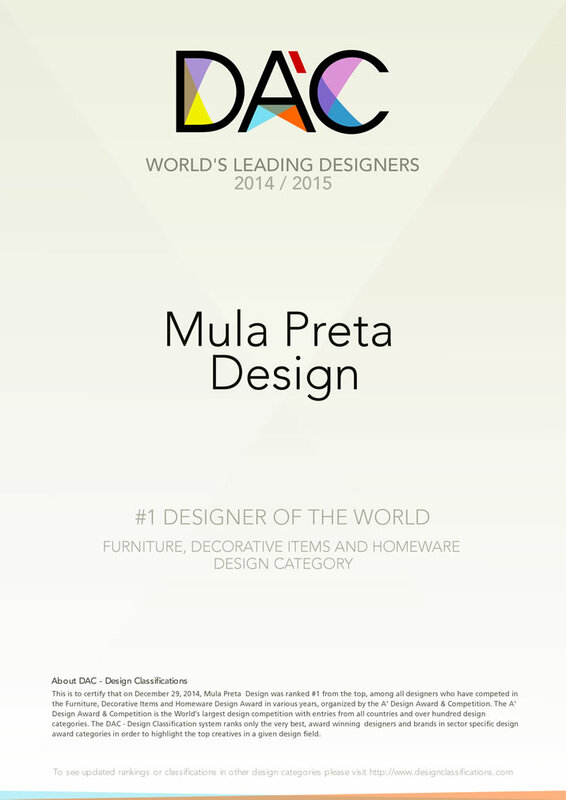 The first list is called the Designer Rankings and all A' Design Award winners and runner-ups are included. 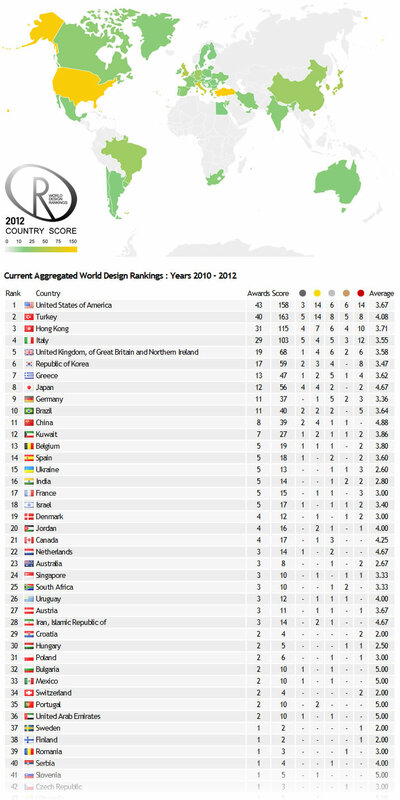 The second list is called World Design Rankings which includes only winners. The third list is Design Classifications. All lists provide further visibility and publicity to A' Design Award winners. 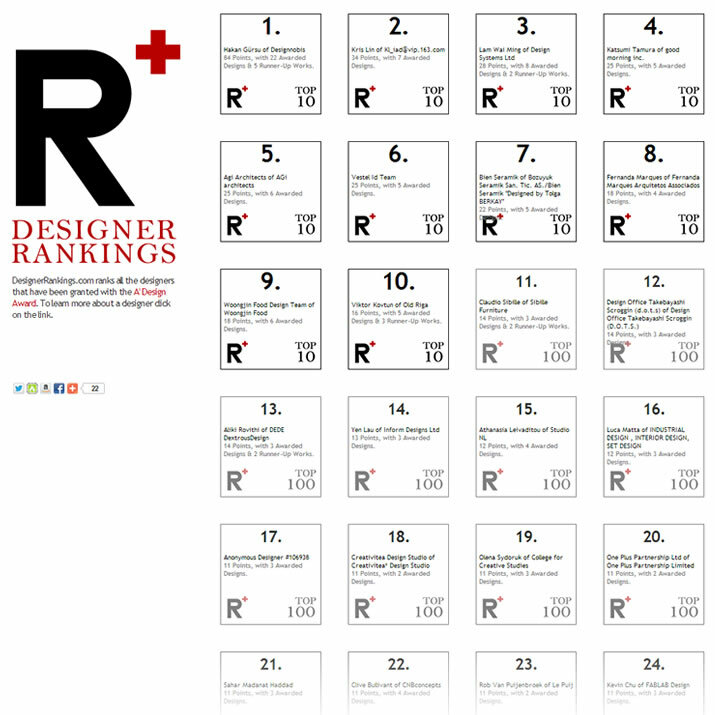 Designer Rankings system ranks all the designers that have been granted with the A' Design Award, but also counts the runner-up status designs as single points. 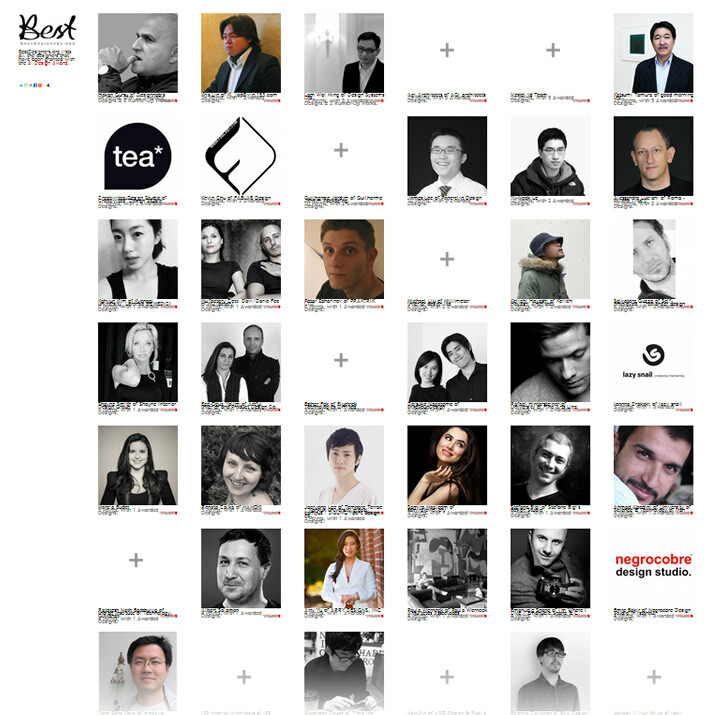 Designers are further granted 2 to 6 additional points for each award they have won. 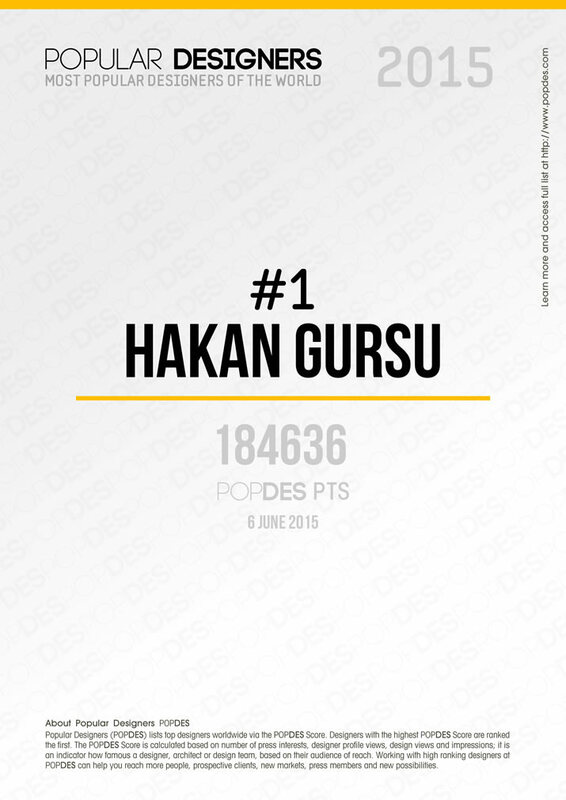 Designers with the highest score are displayed first; i.e. 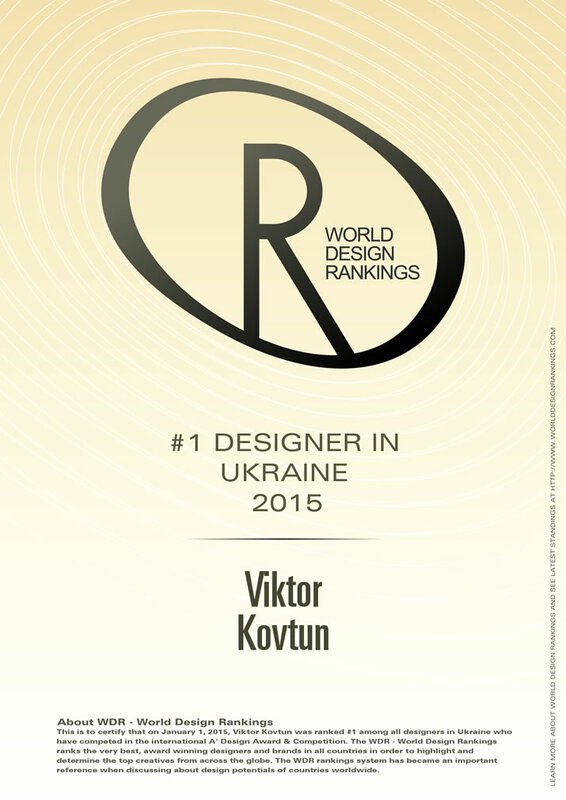 designers are ranked based on the award status points. Within this perspective, winning a Platinum A' Design Award could be considered equal to winning three A' (Iron) Design Awards. The listing includes all years; therefore it is usually observed that even the top designers' positions fluctuate yearly. Winners usually share their information regarding the rankings through press releases and announcements. 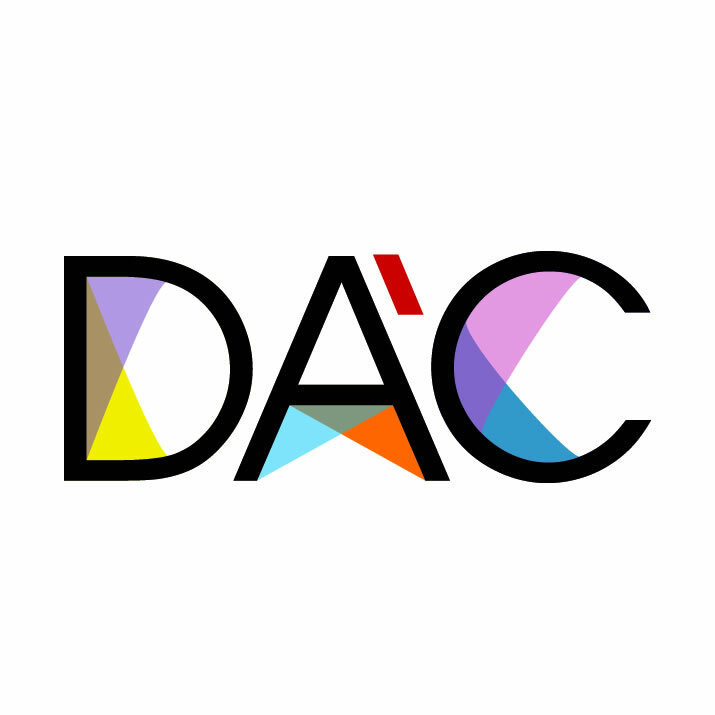 A' Design Award and Competition also makes a distinct press release and campaign each year to announce the designer rankings, and to promote the highest ranking designers. The aim of the Designer Rankings is to spur competition among participants and to award the highest ranking winners once again by celebrating them with a different title. 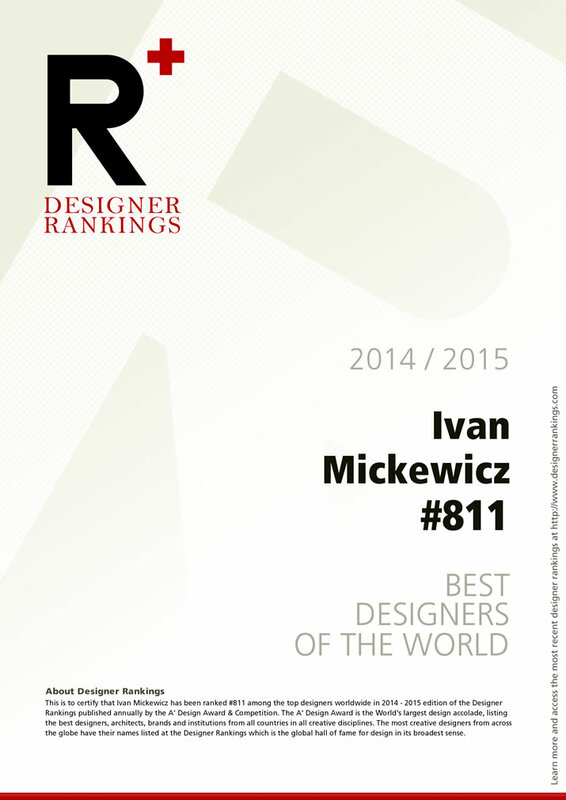 Further information could be found and the updated rankings could be observed at designerrankings.com Award winners are also able to download the Designer Rankings certificates from their control panels, at Designer Rankings section. 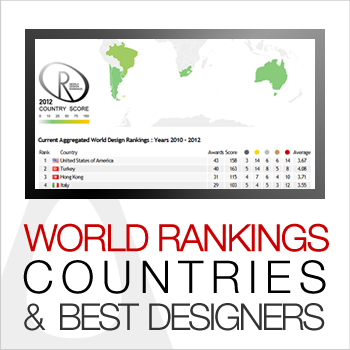 All winners are automatically placed in the both the designer rankings and world design rankings provided that their profile information is correctly filled. If a winner does not show-up on rankings they are advised to fill their profile completely.